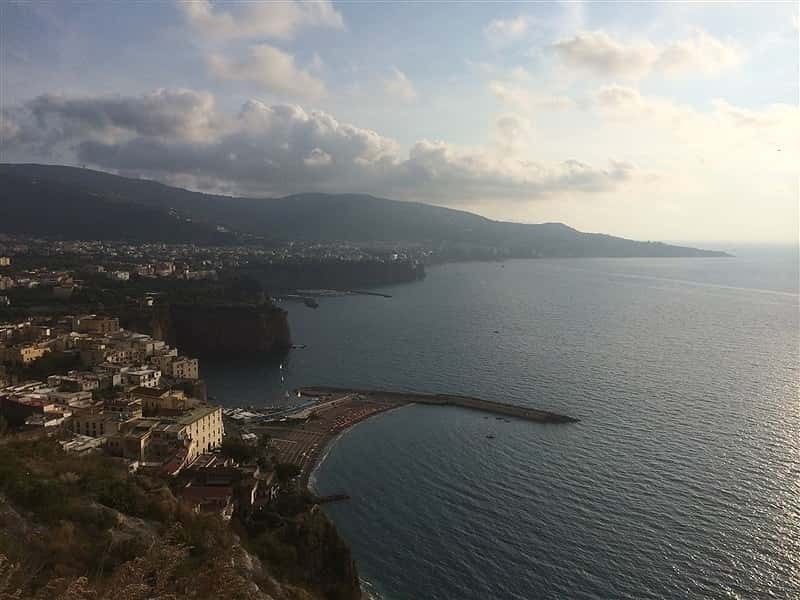 The Sorrento Peninsula is a long strip of land of tufa origin that stretches out towards the sea and the neighbor island of Capri, with its unmistakable "faraglioni". 23Km of high and rugged coastline, rich in discrete coves, watch towers and small natural gorges, covered with lemon groves, citrus orchards, olive groves, vineyards, woods and lush Mediterranean vegetation. It is a land that has always a charm: the Greeks built here temples and streets, enriching, with their high civilization and sense of democracy, the way of life of locals; the Romans dedicated themselves to "otium" in their sumptuous maritime villas, with the complicity of a mild climate and crystal clear sea. From the XVIII century, the area became a stop of the Grand Tour, the journey that young artists and intellectual from the northern Europe made in order to broaden their minds and rediscover the greatness of the civilizations of the past. It is a strip of land that brings together a small world: sea and mountain, past and modern, traditions and innovation, arts (local craft, painting and literature) and gastronomy (just think of PDO extra-virgin olive oil, IGP lemon of Sorrento, DOC wine, PDO Provolone del Monaco and Gragnano pasta, to name a few). - Gragnano, the city of wine and pasta, produced since the XVI century and exported all over the world.